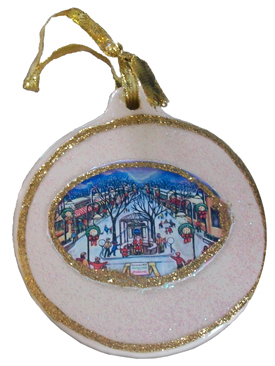 This is a white ceramic ornament with a golden ribbon and gold glitter – a beautiful and fun decoration for your Christmas tree or house. In the center is the famous hand-drawn print of the Clarendon Hills Christmas Walk. Each ornament has the words “Clarendon Hills Christmas” hand-written on the back. This ornament would make a fantastic addition to any Christmas tree, commemorating the community and all the fun it has during Christmas. R. Harold Zook was an integral part of the architectural scene in Du Page County as a whole, but specifically to the villages of Clarendon Hills and Hinsdale. 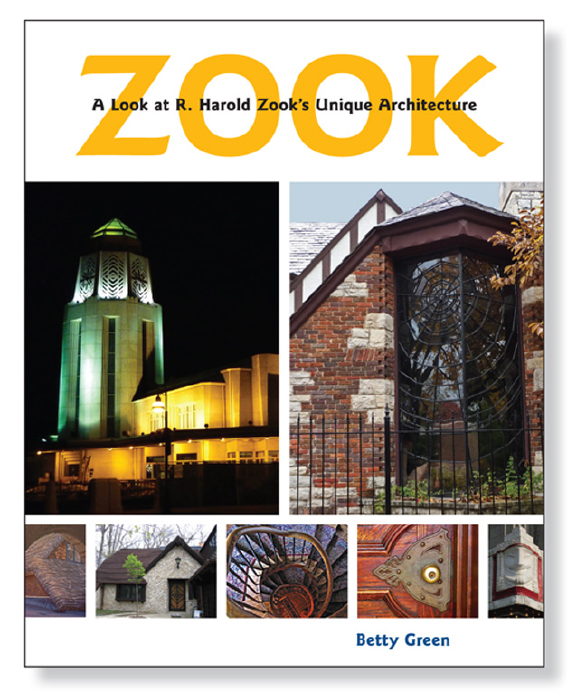 Zook was as much an artist as he was a home builder and his artistic vision transformed simple living spaces into works of art. He designed over eighty homes and buildings, several of them within Clarendon Hills. The author, Betty Green was a resident of Clarendon Hills and wrote a comprehensive book with beautiful photos detailing her passion for the architecture of R. Harold Zook. Her passion for preservation of history brought her to donate these books to the Clarendon Hills Historical Society to help us raise funds for our Heritage Hall project.